NEW AND IMPROVED MODMIC 5 - Totally modular, delivering both flexibility and performance in one attachable microphone. Patented design allows you to easily attach or remove this boom microphone to any pair of headphones. 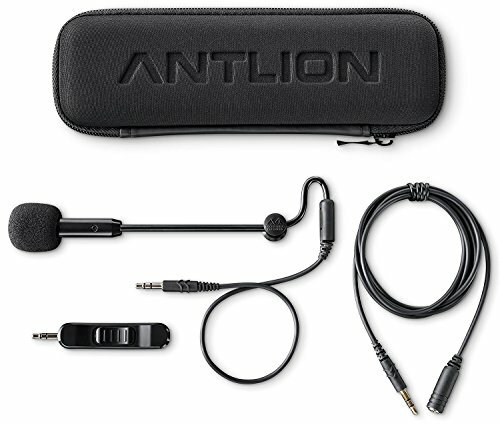 HIGH-QUALITY AUDIO - Select between noise canceling and studio recording modes with the flick of a switch, thanks to a dual microphone capsule. SUITS ANY NEED - Flexible microphone settings make the ModMic 5 perfect for both high-fidelity recording, and in noise canceling mode, for environments like PC gaming, VoIP, call centers, or ham radio audio. CONFIGURABLE - With two included cables measuring 1m & 2m, and with a separate mute switch module, configure your ModMic to suit your needs. Works elegantly with PCs, Macs, consoles, tablets, and even smartphones. COMPATIBILITY - Standard 3.5mm jack for immediate plug & play on a PC; available adapters for Mac, PS4 and Xbox 1 consoles. Extend the use of your favorite headphones to console games.